Posted on August 1, 2018 by Emily Allbon. This year I was lucky enough to have a term’s sabbatical in order to pursue my interest in legal design and visualization in law. 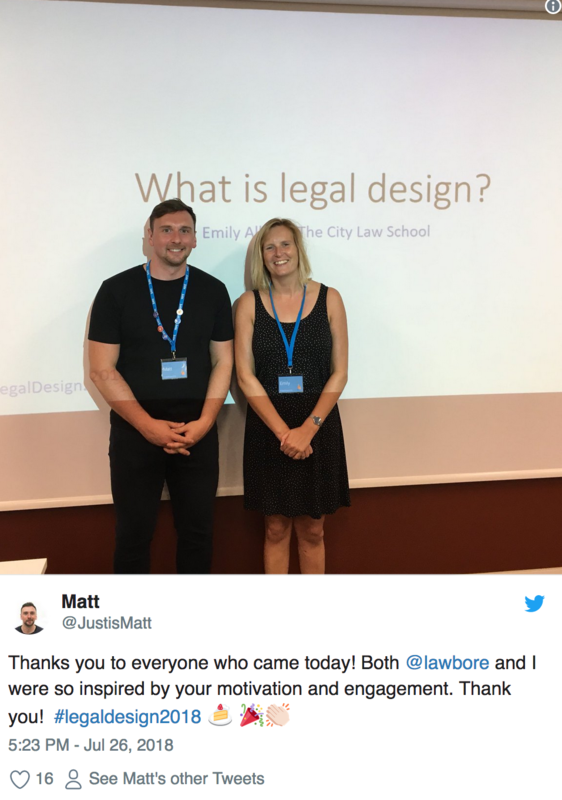 My belief in the power of design and its potential impact on how people learn and understand the law, dates back around 16 years ago when I first launched the lawbore website for the City Law School. My aim initially was to create a resource which helped students find and recognise quality legal sources to help their study, and give them the confidence to become more independent in their legal research, both at university and beyond. 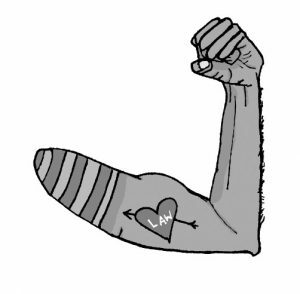 Later additions to the site had new aims; teaching legal skills, building a community and getting students involved in writing about the law. Design was always integral to the success of the site. A few years ago I started to become aware of a number of individuals using design in the law in really exciting ways; designing products to help groups of people/communities with specific legal needs (see Candy Chang/Center for Urban Pedagogy for their work on street vendors and listen to Jose Fernando Torres talk about his dispute resolution project for domestic cleaners in Colombia) but also re-designing the legal documents themselves, asking why it is accepted that contracts, privacy policies and terms and conditions are impenetrable to most (see the work of Stefania Passera and Helena Haapio, as well as Stefania’s collaboration with Juro). The access to justice problems post-LASPO 2012 made this even more pivotal. I attended the second Legal Design Summit in Helsinki in October 2017 and the Brainfactory which preceded it, and I left Finland fired up about focusing on legal design. The sabbatical wasn’t long enough (!) but I investigated what others were doing worldwide, collecting ideas and research (visually of course) on evernote with the help of my student research assistant Jade-Amanda Laporte. I got to visit people who have been doing great things; Margaret Hagan at Stanford (check out her blog and book on legal design), Camilla Andersen at UWA (see her work on comic contracts), Helena Haapio and Stefania Passera in Helsinki and Cat Moon at Vanderbilt Law School. 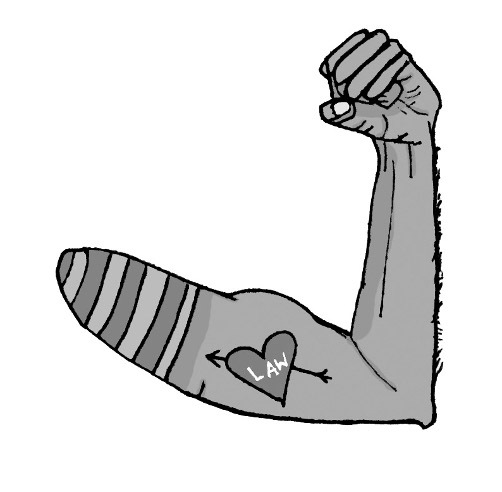 I’ve been working with a range of individuals; lawyers, students, graduates, illustrators and graphic artists on a project showcasing how design can help in legal education…more on this later in the year! I really wanted to introduce students to legal design though; they are bombarded with messages about the skills they need to gain as ‘future lawyers’, and in recent years the focus on tech has been all-consuming. The desire of many to ‘make a difference’ is satisfied in part by pro bono work at clinics but with legal design, there is the opportunity to empower people to have more control over their situations. There’s also the chance to work with the users themselves to shape services, processes and guidance of the future. It’s a recognition of the fact that legal services have reached a crunch point where to have some hope of real transformation, it is vital to work collaboratively with a broad cross-section of people, with very different skills. I helped my father (who is disabled) fill out his Personal Independence Payment (PIP) form last year and it really brought home just how many hurdles there are in the way of people getting help. It almost broke me; taking hours and hours speculating over what each question was getting at. He would have been unable to complete this alone. Director of the Legal Design Lab at Stanford (and legal design legend), Margaret Hagan has run cross-disciplinary classes and Innovation Sprints for many years, with students working in teams to find solutions for, in her words, ‘how we can help people navigate complex, bureaucratic, ‘boring’ systems, and do so more intuitively, intelligently, and maybe even happily’. Helena and Stefania have been running Legal Design Jams since 2013. I needed to take the plunge but was a little hesitant about the organisation required. 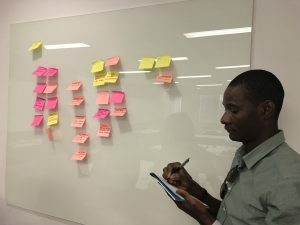 A coffee with Masoud Gerami, MD of Justis, led to a conversation with Matt Terrell (Justis Head of Marketing, with a background in design), and before I knew it we were partnering up to run our first legal design sprint. 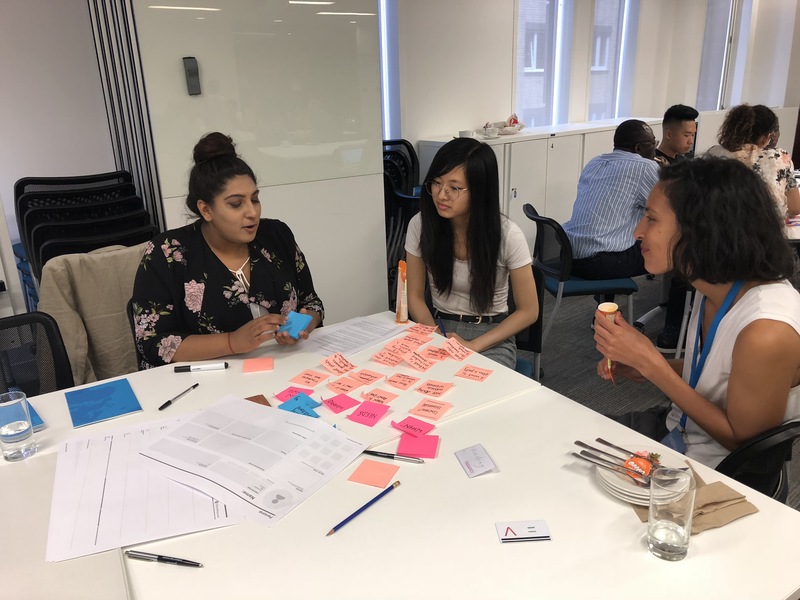 Day One took place at the Cass Business School (part of City, University of London) at Aldersgate on 26th July. Students had come from a variety of institutions: the University of York, Nottingham Trent University, Manchester Metropolitan University, University of West London and a good showing from the City Law School. 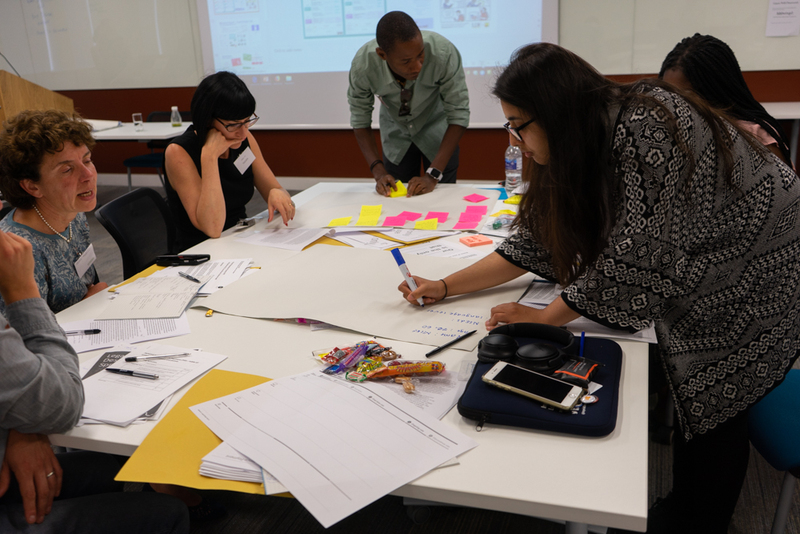 Sandrine Herbert Razafinjato from global design agency Method took participants through some design thinking basics; guiding them in the processes required, as well as the tools which might help in the later stages of prototyping and testing. It was fantastic to hear Richard Mabey of Juro speak after reading his blogs about the work on privacy policies his company had shaped with Stefania; students got a valuable insight into the design process in a legal context. What were the team challenges? #TeamUniversity had to deal with those contracts signed by students on starting university, working on ways to make this more transparent and understandable. This was put forward by JISC Chief Innovation Officer Phil Richards. 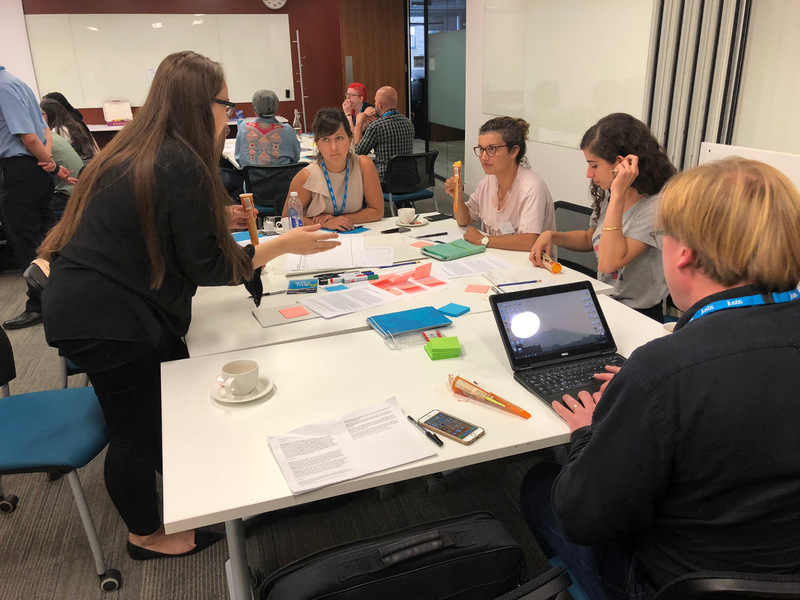 #TeamSocial heard about their problem from Dr Liz Dowthwaite from the University of Nottingham, and spent the day working on how to redesign social media terms and conditions for young users. #TeamConsumer were challenged by Daniel Hoadley from the ICLR to help consumers understand their rights, an area where there can be huge gaps in understanding. #TeamTenancy heard from Claire Stripp and David Harris of Browne Jacobson LLP. 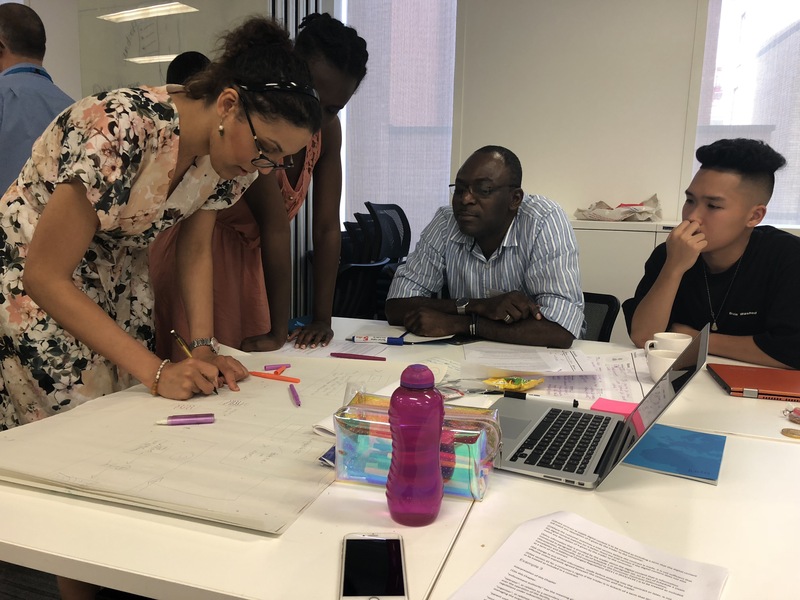 They challenged students to tackle the area of student tenancy agreements; detailing the confusion around rights and responsibilities and individual/group contracts. Finally #TeamWelfare had very complex challenge, posed by Pete Bradley, Head of People at Citizens Advice Merton and Lambeth. This was to help those applying for disability benefits via complex forms (Personal Independence Payment (PIP) and Employment and Support Allowance (ESA)), with a specific focus on the additional barriers to those with mental health conditions. Pete’s colleague Alan Wylie, the Centre’s Disability Rights Specialist, also came along to offer further insights and support to the team. 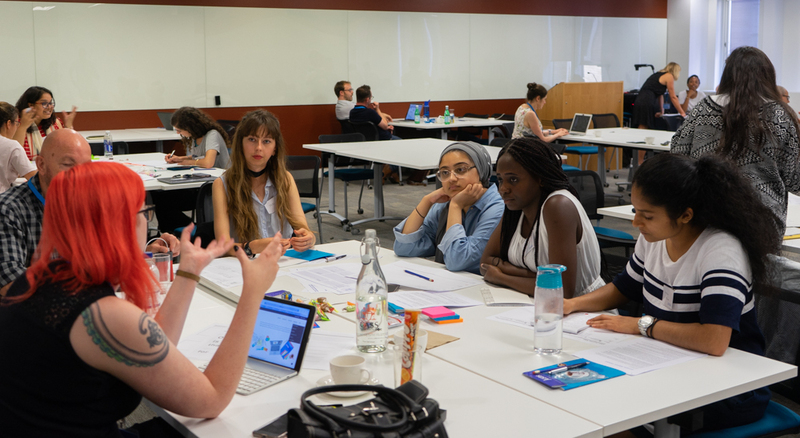 Students will be working on their challenges over the summer, before coming back to us on 6th September to present their process and solutions to a panel of judges. Matt and I were incredibly impressed by the enthusiasm of the students and their real desire to get stuck in and put what they’d learnt into practice. The mentors (the challenge setters plus Andrew Maynard from Ruby Datum, Justin North and colleagues from Janders Dean and Omefe Uduebor from qLegal) were extremely generous with their time. We were just blown away by the passion in the room from everyone involved and excited to see what they produce!